Given a graph G and an integer k ≥ 0, the NP-complete Induced Matching problem asks for an edge subset M such that M is a matching and no two edges of M are joined by an edge of G. The complexity of this problem on general graphs as well as on many restricted graph classes has been studied intensively. However, little is known about the parameterized complexity of this problem. Our main contribution is to show that Induced Matching, which is W-hard in general, admits a linear problem kernel on planar graphs. 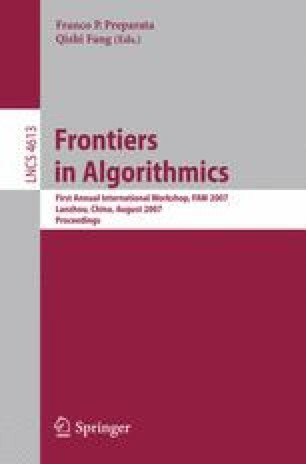 Additionally, we generalize a known algorithm for Induced Matching on trees to graphs of bounded treewidth using an improved dynamic programming approach. Supported by a DAAD-DST exchange program, D/05/57666.